Increasingly lauded as a composer, with works featured at international contemporary music festivals, and two sets of pieces for ensemble out on the Mode label, Tim Hodgkinson has an equally powerful commitment to intense and highly energised performance practice. In over forty years’ work he has placed himself in a series of definitive projects, whether as co-conspirator in the seminal Henry Cow group, as saxophonist with influential avant metal band God, or as bass clarinet soloist in the spectral compositions of Iancu Dumitrescu. His lap steel guitar playing remains completely uncategorisable, bringing subdued and not so subdued echoes of rock musics and other ethnicities. Tim Hodgkinson (b. 1949) studied social anthropology at Cambridge, where he met Fred Frith in 1968. Together they initiated what became the politically and musically radical group HENRY COW. This was the band in which he began to write music and explore sound. Following the demise of the Cow in 1978, he threw himself into various experimental rock projects, notably THE WORK. As an improviser his centre of gravity shifted from alto saxophone and keyboards towards clarinets and lap steel guitar. In the early 90’s he found his own way to fuse distinct kinds of musical experience and began writing scored pieces that drew directly on acoustic experimentation and improvisation. The first of (what turned out to be) many trips to Siberia rekindled his interest in anthropology, and research into music and shamanism led him towards new ways of ‘grounding music in being’. 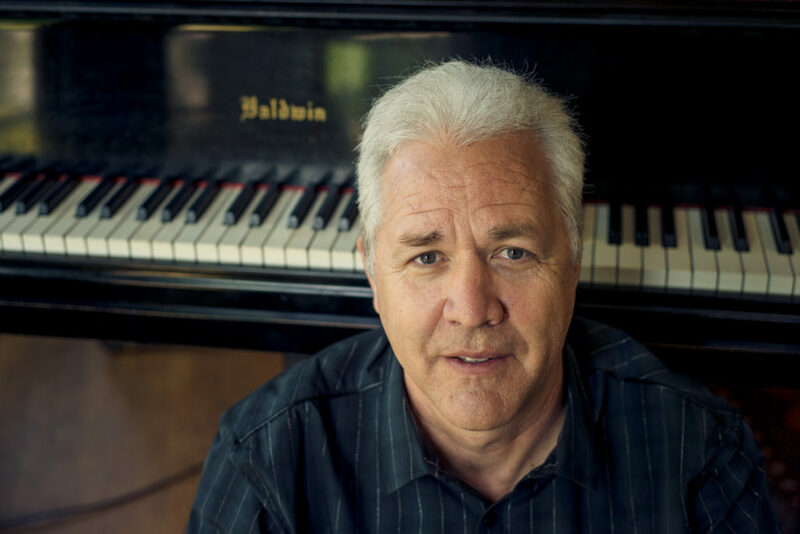 As an improvising musician on reeds and lap steel guitar, he has performed all over the world with many of the most acclaimed artists in the field, and continues to be fully engaged in the celebrated KONK PACK trio with Roger Turner and Thomas Lehn. In 2009 he released Klarnt – a CD of solo clarinet improvisations. Other continuing projects include an international quartet with Denman Maroney, Paul Lytton and Dominic Lash, and the UK-based ZINK trio with Hannah Marshall and Paul May. Mark Medwin wrote about his Klarnt CD: Many of these eleven untitled vignettes are fairly brief, packing myriad gestures into each moment. Even on the longer pieces, such as the final track, each second seems ready to burst with ideas. Dynamics have little to do with impact, as many moments of the most concentrated energy hang barely above a whisper. Instead, there is a sense of heightened emotion as Hodgkinson plums every register and mood of which the clarinet is capable. With Ken Hyder from Scotland, and Gendos Chamzyryn from Tuva, he works in the K-SPACE project, named after the Soviet cosmologist Nikolai Kozyrev. With numerous tours of Europe and Siberia, K-Space’s CD releases include Infinity, a set of recordings that breaks new ground by using customised software to re-compose the music with each listening, creating an experience intended to parallel that of shamanic flight. In 2009, K-Space developed a sound-installation for the exhibition Shamans of Siberia at the Museum of Ethnology in Stuttgart. In 2015, they will perform a new collaborative project with the Bergersen String Quartet at Huddersfield Contemporary Music Festival. As both bass clarinetist and composer and conductor, Hodgkinson has participated in many concerts of spectral music with Iancu Dumitrescu’s HYPERION ENSEMBLE. His own compositions have been interpreted in such international festivals as: Spectrum XXI (Brussels, Paris, Geneva, Berlin, London), Huddersfield Contemporary Music Festival (U.K.) where he was a featured composer in 2007, Craiova and Ploiesti Festivals (Romania), Guarda Festival (Portugal), Cantiere Internazionale d’Arte di Montepulciano (Italy), Konfrontationen Festival (Austria), Nordlyd Festival (Norway), Musique Action (France) and the European Symposium of Experimental Music at Barcelona. His Piece for Harp and Cello was selected for the SPNM shortlist in 2005. His composition SHHH was accepted for the IMEB electroacoustic music archive at Bourges in 2006. His piece Fragor appeared in the Martin Scorsese film Shutter Island in 2010. He has worked with Hyperion Ensemble, Talea Ensemble, Ne(X)tworks, the Bergersen String Quartet, The London Sinfonietta, Insomnio Ensemble, Phoenix Ensemble, Basler Schlagzeug Trio, Nidaros Slagverkensemble, and the Bindou Ensemble. His newest piece Azim will be performed at Ilan Volkov’s Tectonics Festival in Israel in October 2014. 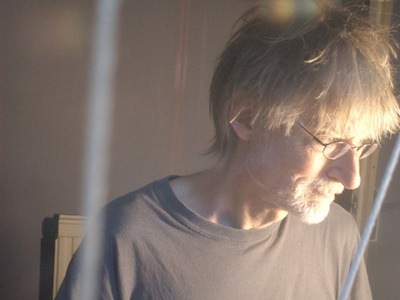 As a writer, he has published articles on improvised music, musique concrète (he interviewed Pierre Schaeffer in 1986), spectralism, the boundary between shamanism and art in southern Siberia, and aesthetic responses to the impact of new technology on contemporary music – in, amongst others, Perspectives of New Music, Arcana, Contemporary Music Review, Musicworks, The Wire, Cambridge Anthropology, Variant, RER Quarterly, and Resonance Magazine. Chris Brown, composer, pianist, and electronic musician, creates music for acoustic instruments with interactive electronics, for computer networks, and for improvising ensembles. Collaboration and improvisation are consistent themes in his work, as well as the invention and performance of new electronic instruments. These range from electro-acoustic instruments (“Gazamba”, 1982), to acoustic instrument transformation systems (“Lava”, 1992), and audience interactive FM radio installations (“Transmissions”, 2004, with Guillermo Galindo). As a performer he has recorded music by Henry Cowell, Luc Ferrari, José Maceda, John Zorn, David Rosenboom, Larry Ochs, Glenn Spearman, and Wadada Leo Smith; as an improvisor he has recorded with Anthony Braxton, Pauline Oliveros, Fred Frith, Rova Saxophone Quartet, Ikue Mori, Alvin Curran, William Winant, Biggi Vinkeloe, Don Robinson, and Frank Gratkowski, among many others. Recent recordings of his music include “ROGUE WAVE” (on Tzadik), “TALKING DRUM” (on Pogus), a duet with Fred Frith titled “CUTTER HEADS” (on Intakt), and “SUSPENSION”, with the CBD Trio, on Rastascan. He is also a member of the pioneering computer network band “The Hub”, which has just released”BOUNDARY LAYER”a box set recording celebrating over 20 years of music on Tzadik. He is also a Professor of Music and Co-Director of the Center for Contemporary Music (CCM) at Mills College in Oakland, California.